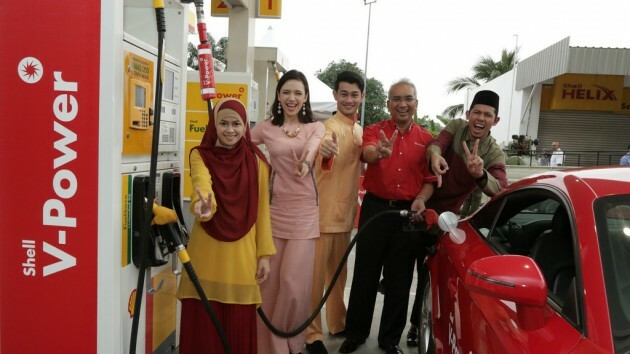 In celebration of the upcoming Hari Raya Aidilfitri festivities, Shell V-Power has just launched a new contest called “Jalan-Jalan Balik Kampung Dengan Shell V-Power”, which aims to make the long balik kampung drive much more enjoyable with Shell V-Power – the formula for driving excitement. This month-long contest will give Malaysians a chance to share their balik kampung tips with some of the nation’s most well-known personalities, including comedian Nabil Ahmad; singer Heliza Helmi; and real-life couple, actor-director Farid Kamil and actress/model Diana Danielle, as they embark on their very own personal balik kampung journey powered by Shell V-Power. “Hari Raya Aidilfitri is a festive occasion celebrated by Malaysians all over the country, as everyone prepares for the long journey home to their loved ones. Malaysians can now share their excitement with their favourite celebrities by recommending balik kampung tips that can win them a private meet-and-greet session with them. 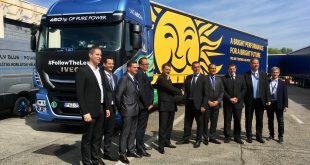 Whilst it is important to reach the destination safely, we also hope that Malaysians would also enjoy the journey itself, powered by Shell V-Power as they “jalan-jalan,” said Tuan Haji Azman Ismail, Managing Director of Shell Malaysia Trading Sdn. Bhd. and Shell Timur Sdn. Bhd. Participants who take part in this contest stand a chance to win a dinner and drive for two with their chosen celebrity. Up to two lucky winners per celebrity will be chosen for sharing the most interesting or exciting balik kampung tip that can enrich the journey of their favourite star, from driving tips on the road to delicious local foods or even scenic sightseeing spots – little bursts of excitement in an already exhilarating trip fuelled by Shell V-Power. “As one of the world’s most advanced fuels, Shell V-Power is more than just a fuel for your car: it is a formula for driving excitement. Besides ensuring that drivers get the best from their car, Shell V-Power is the only fuel for those who are not only passionate about their car but also passionate about the driving experience. After all, it was developed via our 60-year technical partnership with the Ferrari team, using experience that we’ve gained from the Formula One race track,” added Tuan Haji Azman. The celebrities, who will be making the long drive home for the festivities, have also expressed their excitement for the journey, which will be powered by Shell V-Power. “Driving home is always the most exciting part of Hari Raya Aidilfitri and I can’t wait to embark on my trip. 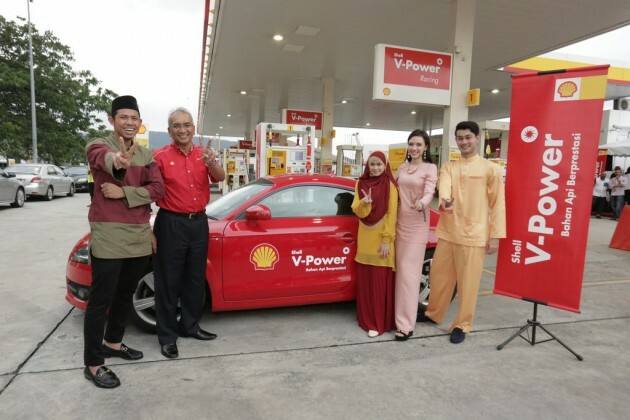 I love discovering the amazing sights and sounds of our beautiful country during these long drives, so this is really the time for me to excite my journey with Shell V-Power,” said Nabil, who hails from Kampung Baharu Mambau, Negeri Sembilan. Singer Heliza Helmi also expressed her excitement about driving home to Kuala Terengganu, where she was born. “The best part about driving to the East Coast is the long roads and endless expanse of sea and scenery that I can take in at my own leisure. With Shell V-Power, there’s definitely no better place to be than behind the wheel feeling the exhilaration of the drive!” “Jalan-Jalan Balik Kampung Dengan Shell V-Power” kicks off on 14 July 2014 and ends on August 2014. During this four-week period, participants can join the contest by submitting their balik kampung tips at www.shell.com.my/balikkampung. Fans will also be able to follow the live updates of their favourite celebrities on social media via the hashtag #vpowerbalikkampung, as well as catch them on Astro channels throughout Ramadan and Syawal. Additionally, from 17 to 27 July 2014, customers can stop by selected Shell Helix Service Centers on their balik kampung journey home and enjoy a free 15-point car inspection check. There will also be sampling activities hosted at selected stations from 23 to 27 July 2014 and 30 July to 3 August 2014, while customers will also receive free duit raya envelopes. Previous All-new Honda Jazz will be launched in Malaysia this month!